HOW DID YOU DECIDE TO MAKE THE LEAP FROM NEW YORK TO NEW ORLEANS? "We were up for an adventure, but not sure what, when all of a sudden New Orleans came into view. After spending a week with some friends down here a few years ago, we started day dreaming about what it might be like to actually live in the deep South. 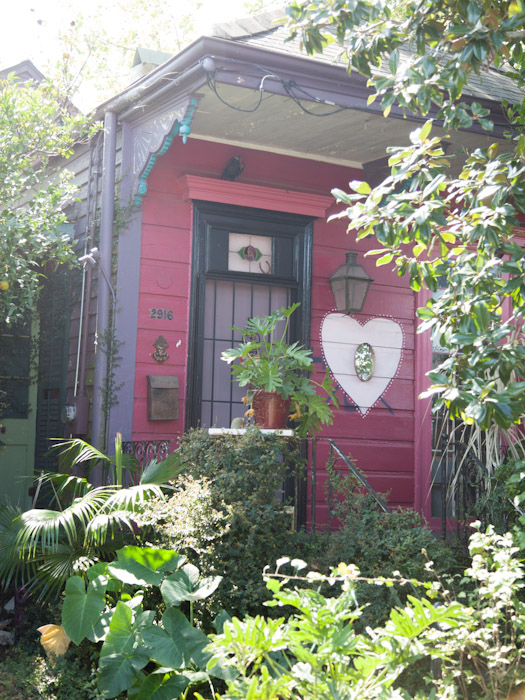 A friend showed us the house that's become our home in the Garden District, and then it took all of a two-hour plane ride home to make the decision to blow out New York for New Orleans." WHAT'S SURPRISED AND DELIGHTED YOU MOST ABOUT YOUR NEW HOMETOWN? "There are few cities in America as charming and disarming as this one. The grit, the disfunction, the heat, the catastrophic storms, the potholes, and the laissez les bon temps roule attitude aren’t for everyone, but if you walk the oak-tree lined streets, ride the streetcar down St Charles, bike through any neighborhood and smell fragrant magnolia blossoms, jasmine and sweet olive, you are going to be seduced. New Orleans is a primal place where life and death are all around you, hanging in the still air — I mean Commanders Palace restaurant and the cemetery across the street fight for the same tourists everyday! But, for me, being part of a place that people are willing to fight tooth and nail to protect is at the core of the experience here. Civic pride. We want to make New Orleans better and fix its problems, but at the same time, please don’t change a thing." Restaurant crawl essentials: Beignets at Cafe du Monde and lunch at Lilette on Magazine Street. 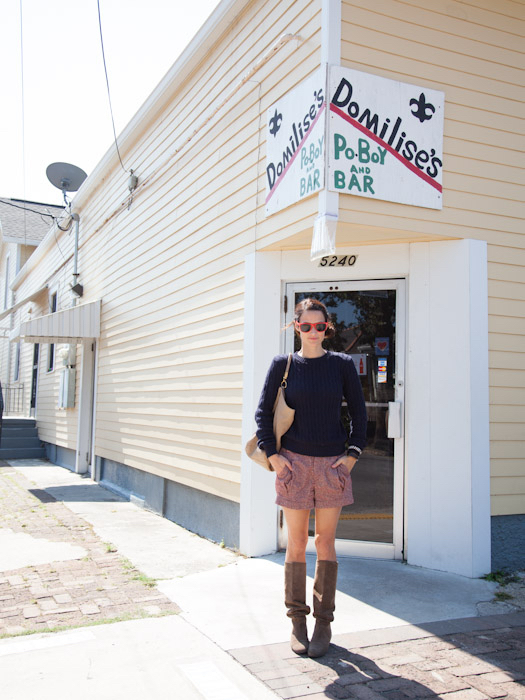 WHERE WOULD YOU SEND NOLA NEWBIES ON A PERFECT RESTAURANT CRAWL? "For your morning caffeine fix, get a slow-drip ice coffee at Still Perkin in the Garden District, or head to HiVolt or Mojo, both in the Lower Garden District. From here, it’s on to breakfast and obviously you have to go to Cafe du Monde for beignets. I’ve never had a guest who felt like they could skip it. It’s always packed, but this is my secret: don’t sit outside! Go straight indoors and grab a table — or push two together if you have a lot of kids. Alternatively, hit Satsuma in the Bywater or Uptown for delicious, healthy eats, or La Petite Grocery for brunch and a perfect Bloody Mary. I live at Lilette on Magazine Street for both lunch and dinner, or Baru is actually one of my top five restaurants in the world. Just excellent, clean New Orleans/Caribbean food in a casual setting. For dinner, snag a seat at the bar of Paladar 511 in the Marigny. It’s just around the corner from Frenchman Street so you can listen to the music go up and down the street." AND WHERE DO YOU GO FOR A FUN DATE-NIGHT? "For an old school fancy dinner, head uptown to Gautreau's, or to Feelings Cafe in the Marigny, which feels like a real secret. Have a drink at the bar and dinner in the courtyard." CAN YOU RECOMMEND RESTAURANTS FOR THE STROLLER SET? "You can really take kids everywhere in New Orleans (with the exception of Soniat House or the bars), but St. Roch Market is a really fun place to sample everything from oysters to Korean barbecue in a picturesque old building. Or Commanders Palace is a good option for a fancy lunch or dinner; afterwards take a walk through the famous cemetery across the street. " WHAT ARE SOME OF YOUR FAVORITE WALKS IN THE CITY? WHERE DO YOU GO FOR A RETAIL THERAPY FIX? "Wander Royal Street from top to bottom, and don’t miss Nadine Blake in the Lower Quarter. On Magazine Street, I like Ann Koerner and Lili for vintage shopping and great prices, and Leontine Linens, too. For kids, James H. Cohen & Sons is an essential stop for everyone, but especially the 12-year-old boy set. It’s a fantastic, odd-ball shop selling everything from antique currency to firearms. Magic Box Toys on Magazine is also good, and Pippen Lane for clothing, especially only-in-the-south favorites like Peter Pan collared items and cross-stitch bibbed dress." WHAT ARE YOUR GO-TO PLACES TO GET PAMPERED? "I like to go to the spa at the Roosevelt Hotel or Belladonna. For nails, I go to Buff Beauty Spa." CAN YOU SHARE YOUR BEST ONLY-IN-NEW-ORLEANS EXPERIENCES? Kid favorites in New Orleans: the Audubon Zoo and a classic carriage ride in the French Quarter. WHAT DO YOUR FORMER CITY SLICKER KIDS LOVE BEST ABOUT THEIR NEW LIFE IN NOLA?